Central New Yorkers have spoken…and Jimmy Buffett’s Margaritaville at Destiny USA has listened! Margaritaville Syracuse is pleased to roll out significant guest-driven changes to its pricing, menu, daily specials and entertainment—all designed to make the Margaritaville restaurant at Destiny USA Central New York’s family-friendly neighborhood dining and entertainment destination. 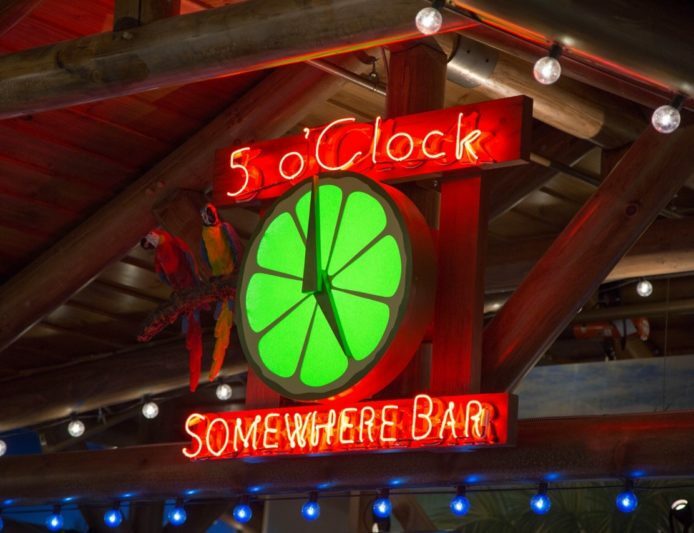 NEW: Simplified “Scratch” Menu: The revised Margaritaville menu invites guests to unwind with house-made margaritas, frozen boat drinks and cold LandShark Lager along with signature food items like the Cheeseburger in Paradise, and our Hand-Battered Chicken Tenders. Another notable menu item includes the LandShark Lager Fish & Chips – hand-dipped in LandShark batter, fried golden brown and served with jalapeno tartar sauce. NEW: Local Loyalty Program: Guests can earn 1 point for every dollar spent on food and beverage at Margaritaville at Destiny USA. Guests can also earn a bonus 25 points simply by signing up by texting “JOIN” to 315-217-6082. NEW: Kids Eat Free Every “Tykes Tuesday” and Sundays: kids eat free every Tuesday and Sunday with the purchase of an adult entrée. Margaritaville is the official sponsor of Tykes Tuesday this summer at Destiny USA which is currently running through August 22nd,. NEW: Livin’ for the Weekend Weekday Specials for $9.99: Margaritaville Syracuse now offers weekday specials available from open until 4 PM. Guests can enjoy Fish Taco Tuesday, for example, for only $9.99 – including entrée and a non-alcoholic beverage. NEW: Daily Promotions and Entertainment Calendar: Enjoy a great value and experience every day of the week at Margaritaville with promotions such as $1 Draft Mondays and All-Day Happy Hour and Trivia Night on Wednesdays.